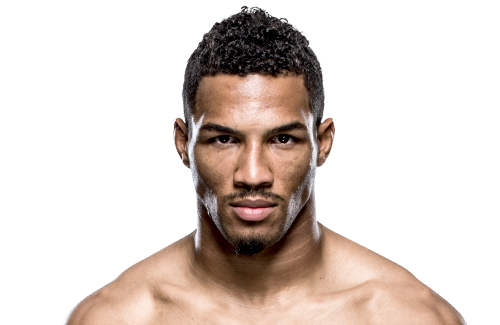 UFC lightweight Kevin Lee questions the "It" Factor, "Would Beat Up Sage Northcutt"
Why is it that some fighters pay their dues for years without ever receiving a title shot or any significant time in the limelight, while others make their debut and become instant celebrities? What is the “It” factor, and how does the UFC or any organization for that matter, determine who has it? Freshmen fighters like Paige VanZant and Sage Northcutt somehow steal the stage after only one fight for the UFC, while other fighters, such as Kevin “The Motown Phenom” Lee (11-1) – who has already fought five times for the UFC and is currently riding a 4-fight-win-streak – and his upcoming opponent, who has even more experience, winning eight of his last nine fights for the UFC, Leonardo Santos, have not seen the limelight or been given a top ten fighter. “I think everybody knows someone like that; whatever your job is, when the boss’ son, or the coach’s son, suddenly comes on and gets that special treatment. Everyone has met and not liked a person like that, especially when you’ve been the one keeping your head down, pushing through. 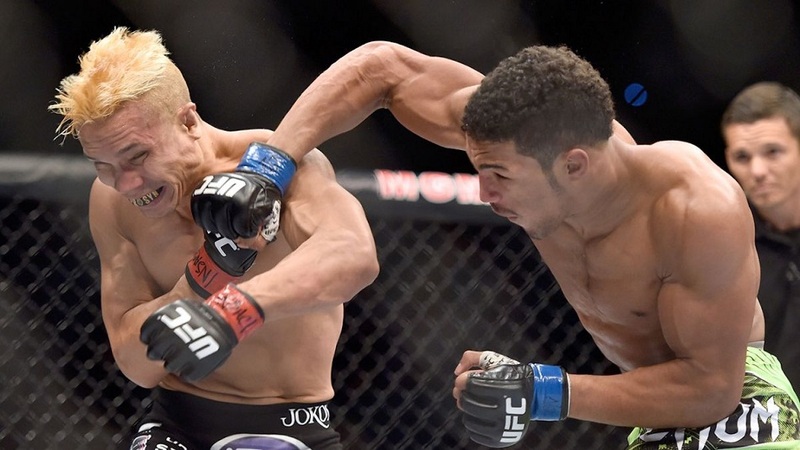 Lee has demonstrated improvement with every UFC he has had, from his first fight, which he took on three-week’s notice, against TUF alum Al Iaquinta. Lee showed heart by forcing the fight to a decision, but his first and only loss was an eye-opener. Lee’s journey to that first UFC fight began when he was a teenager and he joined the wrestling team. In addition to his MMA training at Drysdale, Lee supplements his training with boxing. When Roy Jones Jr opened up his gym last year, Lee was one of the first to sign up and he spends his boxing training between RJJ and Mayweather’s school. 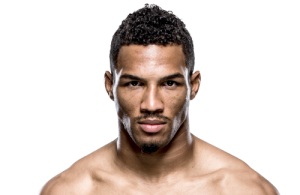 Although the idea of having Floyd in his corner for a UFC fight would be a dream come true for Lee, it seems unlikely, due to the current relationship between FMJ and the UFC, but if it does happen…..
Leonardo Santos hasn’t lost a fight since 2009, (the only fight he didn’t win in his last nine fights was a draw against Norman Parke), and he does indeed have the prestige of having submitted former UFC Welterweight Champion George St. Pierre in under a minute.